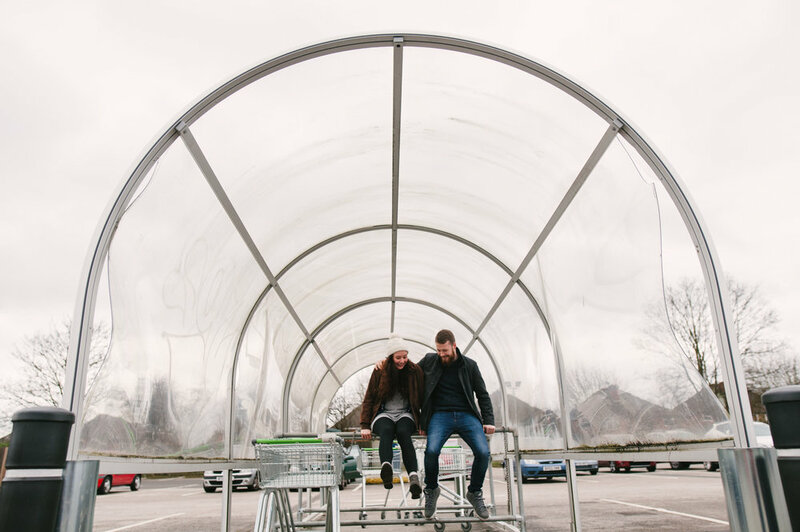 We're totally biased towards this wedding- not only do we love Rob & Beki, but they chose our one of our favourite places for their wedding reception... more of that later on. Beki's family rented a local Airbnb which is a great idea if you want to have extra space for guests and getting ready. She had a friend come round to do her hair and all the girls assembled for moral support. There was some massive self-control on show as no-one ate any of the donuts waiting in the kitchen for later. The guys had a breakfast feast and headed to St Barnabas to get ready. The church is a huge space, but it was soon packed out with such a crowd of lovely people. There were lots of laughs throughout the service as lots of their friends took part. Outside the bells were ringing as guests got busy with the confetti and made light work of a whole heap of donuts. Then Beki & Rob lead the parade down Erdington High Street to OIKOS Cafe for the reception... and made it just in time before a downpour of rain. There was a buffet laid on upstairs and Habaneros Burrito serving from their van. When it was time for speeches everyone gathered round to listen, some with treats from the ice-cream man who'd parked up outside. Chiefs of dancing, King David's band struck up great tunes and filled up the dance floor. At the end of their set everyone donned headsets for part II: the silent disco! In-between dancing the kids hit the soft play area set up in the back room or got silly with us upstairs in the photo booth. It was a great night, but all good things must come to an end. Rob & Beki headed out on to the high street through a tunnel of friends to a final late-night scattering of confetti.